If there were any doubts about China’s ambitions to lead the world in artificial intelligence (AI), the country laid them to rest by showing off its autonomous driving technologies during this year’s Spring Festival Gala, which by some estimates is the world’s most-watched television broadcast. A segment during the five-hour show featured more than a hundred of BYD’s electric cars powered by Baidu Inc.’s Apollo autonomous driving technology. The vehicles, which had roof-mounted sensors, piloted themselves along the Hong Kong-Zhuhai-Macau bridge in figure-of-eights, a number that is considered auspicious by many Chinese. In the same segment, nearly a hundred driverless boats by Yunzhou Tech sailed under the bridge in the formation of an arrowhead, while 300 light-equipped drones by Beijing-based ZeroTech and Shenzhen’s High Great danced in synchronised fashion in the air as part of a large-scale drone performance, arranging themselves into a three-dimensional shape of a dolphin. At one point, a host of performers wielding red flags ran alongside the neatly parked cars, while a troupe of acrobats and dancers performed alongside the vehicles. The Hong Kong-Zhuhai-Macau bridge itself is an ambitious project that was completed in November, and is expected to be open to vehicles later this year. The meticulously choreographed autonomous displays during the Spring Festival Gala, a tightly scripted TV show by state broadcaster China Central Television that attracts as many as 800 million viewers, comes as Chinese President Xi Jinping put the development of a competitive AI industry as an important part of his national strategy. There is no equivalent in the West for the Spring Festival Gala, whose line-up spans post-millennial friendly acts like pop band TFboys to Chinese opera. This year, there was an uproar in some quarters over a skit featuring a Chinese actress wearing blackface and fake buttocks to portray an African mother. 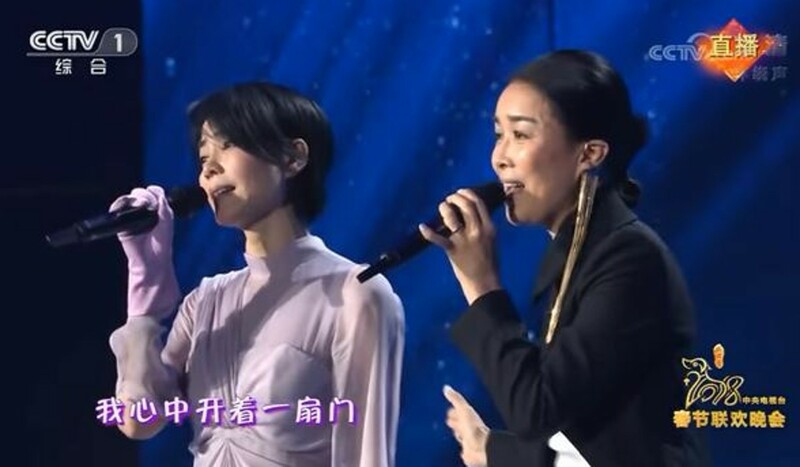 Mandarin pop divas Faye Wong and Na Ying also attracted a lot of online scrutiny with their first public duet in 20 years: Wong for her vintage gloves that were compared to dishwashing gloves, and Na for her supposedly uneven eyebrows. But for Baidu, which has been promoting itself as a member of China’s “AI national team”, the prized slot on the gala is a big win. Being featured prominently on the politically correct show could open up doors for the company when it plans to roll out self-driving trials or services in China’s many cities. It will also be seen by many as a s***p of approval from the central government in its efforts to push self-driving cars. In Xi’s opening speech at the 19th party congress last October, he called for deeper integration between the real economy and advanced technologies, including internet, big data and AI. A month later, China’s Ministry of Science and Technology set up a “national team” to spur further AI development, naming technology companies Baidu, Alibaba, and Tencent, as well as AI firm iFlyTek as its first members which will leverage their own strengths in AI to build “open innovation platforms” in different fields of AI, namely autonomous driving, AI for smart cities, voice intelligence technologies as well as computer vision. Baidu has been working on its autonomous driving technology since 2013. Its first self-driving car hit the roads in Beijing in 2015, and the company’s technology made a big splash when Baidu chief executive Robin Li was seen in a self-driving vehicle on public Beijing roads during a live-streamed conference in July 2017. The same month, Baidu launched Apollo, its open-source, autonomous driving platform that wants to be the “Android of the autonomous driving industry”. With Apollo, developers can gain access to data, open source codes, as well as hardware and software solutions that can help them turn a normal car into a self-driving one, according to Baidu. “Self-driving vehicles are basically computers with wheels, and Baidu is competing to own the operating system,” Towson said.